It’s pretty ugly out here right now…on our way to the quilt show! I am really looking forward to seeing your booth at this show. It’s my first time going and I’m looking forward to it. See ya there. Can’t wait to see your booth! I will be there on Thursday I hope! 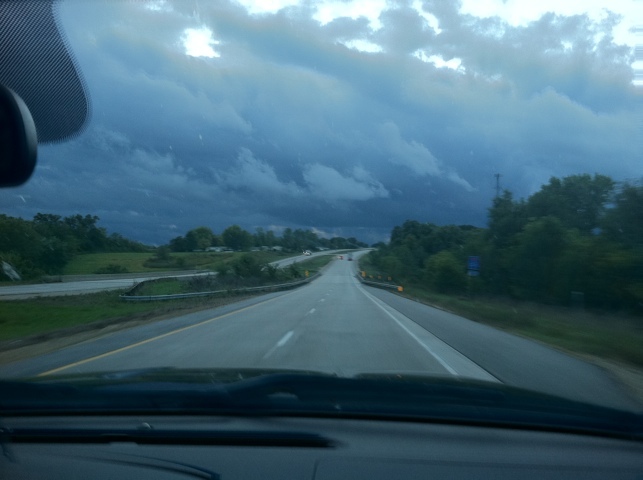 We drove through some hail and torrential rain on our way home from The Gathering…travel safe! Will see you there soon! I’m so excited for the show. Safe travels!! Hey Lisa, will the link to the gathering be back up on the website soon? So looking forward to seeing you in DM. See you Friday. Love the little thread catcher, it is SO cute! I love your new fabric line too. Looking forward to the Christmas blog this year. You guys will be doing it, right? OOOHHHH ! 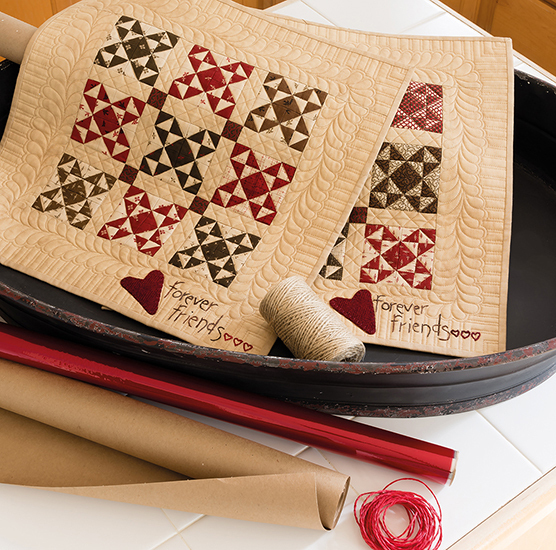 I LOVE your fabric and the little fabric catcher looks so cute, think I’ll make one this afternoon. Today is my birthday so maybe this is my Lucky day. Thanks for a chance to win. Love your thread catcher! Thanks for it, your recipe, and the block. I always love your booth, you have so much to look at and wish for. Now I wish I would win just one giveway! I’ve also been to your shop a couple of times. i wish I lived closer 😦 thanks Laura J.B. So glad that Moda has done this country fair. There were so many designers that I had never known and it has been great. The little thread catcher is a really cute pattern. Thanks forthe recipe! The thread catcher is really cute. I love the picture of your dogs, they are sweet. 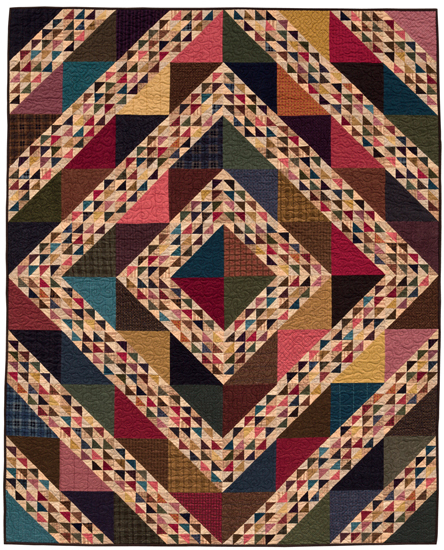 I love the thread catcher and I am going to make one now …….it is so darn cute!!!! Oh that thread catcher is just too dang cute to use just for bits of thread! I have images of placing one by each plate on my holiday table with a clementine inside! Oh if only I had just a few more hours in my day … Thanks for the adorable pattern. 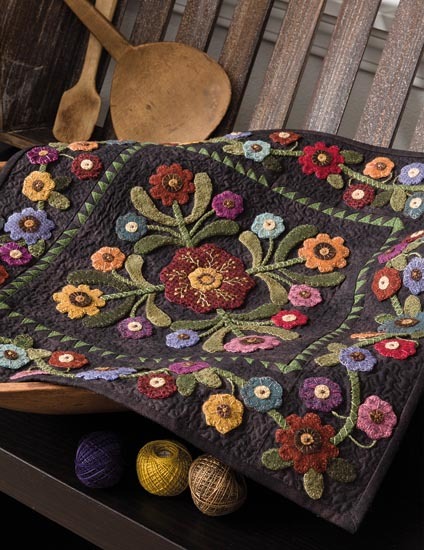 I was never interested in primitive quilts and wool until I saw your quilt you made out of wool from your flower garden. I had to have it and am still working on it. I had never used wool before – what a nice surprise! I love working with wool and you gave me the inspiration to start 🙂 Thank you! The puppies are so cute! I keep all of my threads for the birds to use in their nests, so I will make a use your thread catcher. 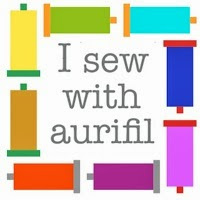 I hope to win some of your fabric/wool. Thank you! See you again in Cincinnati next year. Maybe I’ll see you there tomorrow! I didn’t see you Wed when I went. for letting me know where to get thread catcher pattern! !